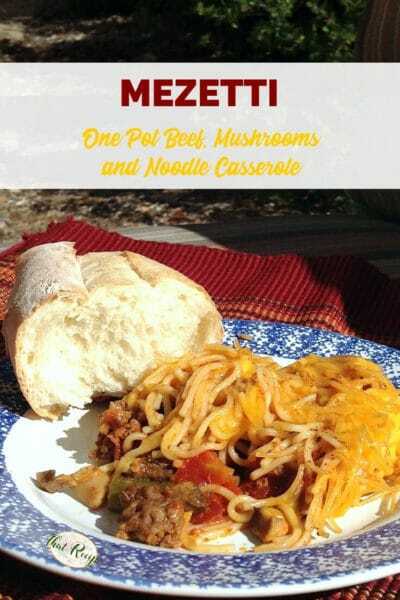 Hearty Beef and Noodle Skillet Meal - Great for Camping! Here’s a great beef and noodle skillet meal that’s been in the family for years. Hearty, beefy stick to your ribs meal that cooks up in about 45 minutes, most of it hands off time, making it perfect for a weeknight. 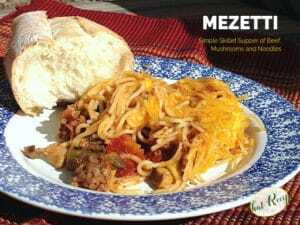 I have no idea where the name Mezetti came from, I assume it’s the name of the person that first came up with the recipe. The original was made with canned soup, and over the years Ma’am and I have switched it up to use fresher ingredients. 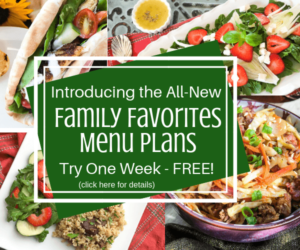 Lower sodium and just as easy. This makes a great meal for camping. You can precook the meat at home and cook it over the fire in a cast iron skillet or Dutch oven. I had a difficult time finding fine egg noodles – go figure. So, I just broke up half a pack of angel hair pasta into about 2 ” pieces. If you go with wider noodles you will probably need more water and longer cooking time. If you are going to make this on a campout, I think the angel hair will be easier to transport. The only other change I made was to use fresh mushrooms instead of canned because I got a great deal on them this week. I just added a little extra liquid to make sure the noodles had enough to cook through. Add some bread and a salad or other vegetables and you have a simple hearty meal. This simple beef, mushroom and noodle casserole is a delicious one pot meal the whole family will love. Great for camping. Brown meat with bell pepper, onion and garlic in large heavy skillet. Stir in mushrooms, tomatoes, water, chili powder, salt and pepper. Sprinkle egg noodles evenly over top. Cover skillet; bring liquid to steaming (not quite boiling). Turn heat to low and cook for 25 minutes until noodles are soft. Sprinkle grated cheese over top of noodles and cook uncovered another 5 minutes to melt cheese. This works great on camping trips. Use a cast iron skillet or Dutch over and cook over a camp fire. Adjust cooking time as needed. Plan this for your first night's dinner so you have plenty of time for the camp ground set up. Meat, vegetables and spices can be prepared ahead of time at home and carried to the camp site in a coffee can. G’day! This so reminds me of childhood yum! Love egg noodles. There is just something about them with beef that really makes my mouth water! Thank you. 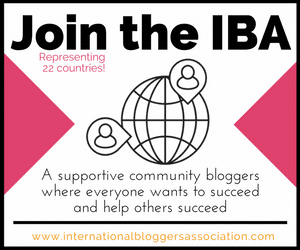 #ibabloggers! 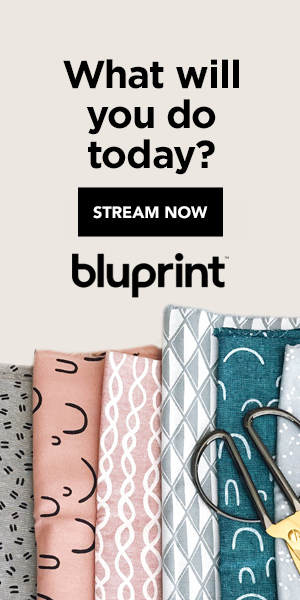 Audrey, this sounds so good and I love how easy it is to make. Pinned it! 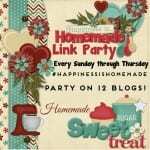 Have you shared it at this week’s Wonderful Wednesday Blog Hop on Ducks ‘n a Row yet?